Michael Phelps swims to victory with a world-record time of 1:54.80 in the men's 200-meter individual medley final at the U.S. Olympic swimming trials Friday in Omaha, Neb. Omaha, Neb. ? Michael Phelps set another world record. No surprise there. Dara Torres is going back to the Olympics. Who would’ve believed it? Fresh off an endorsement from Mark Spitz, the iconic star he’ll try to better in Beijing, Phelps set another world record to win the 200-meter individual medley at the U.S. Olympic swimming trials Friday night. Phelps claimed his fourth individual victory of the trials in 1 minute, 54.80 seconds, beating the mark of 1:54.98 he set while winning seven events at last year’s world championships in Australia. 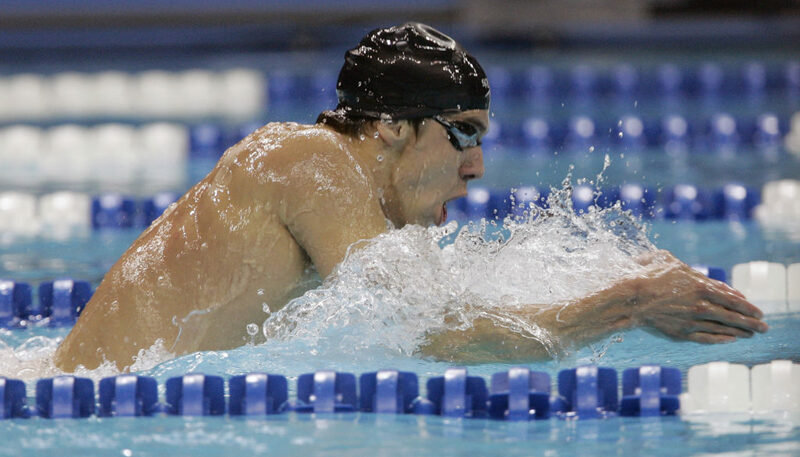 It was the second world record of the meet for Phelps, who also swam faster than anyone in history to win the 400 IM. It’s been a long time since Torres made her first Olympic team – 24 years, to be exact. Now 41 and with a 2-year-old daughter, she completed her improbable Olympic comeback, making the U.S. team for the fifth time by winning the 100 freestyle. Overshadowed by Phelps and Torres, Aaron Peirsol gained a measure of revenge for his upset loss at the 2007 world championships, tying the world record in the 200 backstroke and beating nemesis Ryan Lochte. Amanda Beard is also heading back to the Olympics. She became a four-time member of the U.S. team by finishing second to runaway winner Rebecca Soni in the 200 breaststroke.